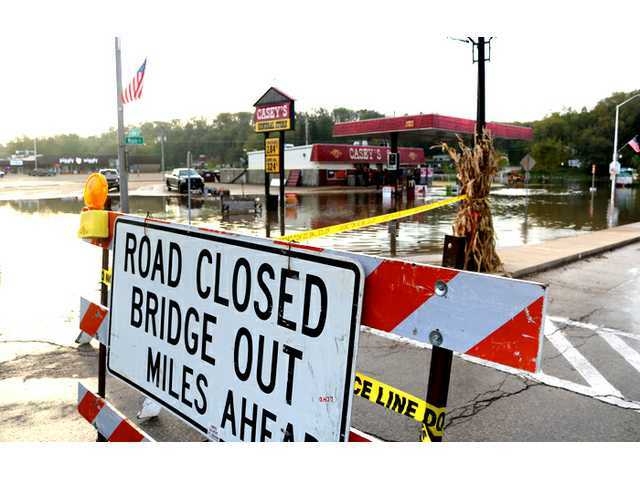 POSTED October 12, 2018 11:25 a.m.
Darlington bridge closed because of a flooding Pecatonica River in Darlington Wednesday, Oct. 3, 2018. The river crested at 15.42 feet and is the third 15 foot flood in Darlington in the past year and three months. Casey's General Store, seen in backround, was closed for two days. See more pictures in this week's RJ.